Breathe in the eucalyptus scent while you're lulled to sleep in this majestic nest. 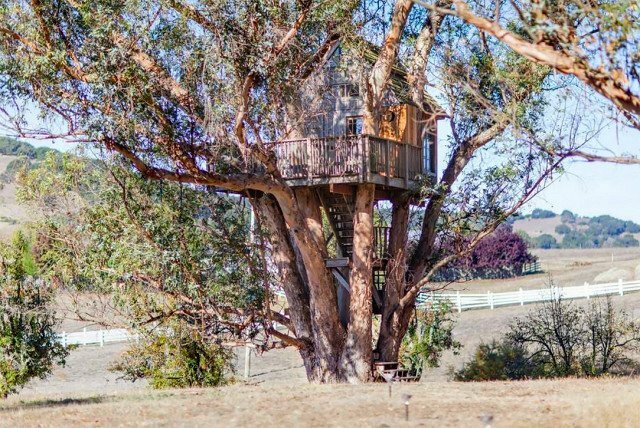 Another Bay Area tree house, this one is located in Petaluma, California, which is known for it's small town charm. It's located only a few miles north of San Francisco, while the Santa Cruz option is further south of the city. Enjoy a trip to the vineyards, and watch the sunset on this spacious deck.